TETROID 2 | Free Mobile Games on Funky Potato! A sequel to the super-popular Tetroid game. 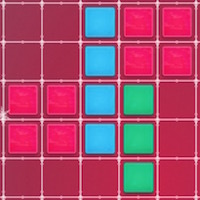 Drop the Tetris pieces on the 10×10 board and create lines. Have fun!